I feel like I’m writing a school essay, with its concomitant predictability, but … Christmas. Our first child was born a few weeks before Christmas. Bet you can’t beat that for the best-ever Christmas present. It’s the one time of year my scattered family is (usually) together. Last year my sons in Amsterdam, Vancouver, and Toronto all flew in for Christmas. Total round trip distance traveled: 9800 miles, not counting my daughter who lives 1.5 miles away. Soon after we were married, Judi and I taught on an isolated wilderness island halfway up the Inside Passage to Alaska. At Christmas we made the complicated, rather arduous trip to Vancouver — our first time off Gilford Island since summer. In our delight at being back in civilization, we treated ourselves to a very expensive restaurant that featured James Bond’s Aston-Martin car out front. Being together in luxury, after having no cars or television or even radio, made us feel appreciative of everything and giddy in love. After Gilford, we taught in a somewhat less isolated school. Remembering the warm welcome other teachers gave us on our first Christmas there, we invited people without local family for a big Christmas dinner. Getting to know new people made for some of our best holidays. And then there are the Christmases when our children were young. Judi excelled at inventing little traditions, such as the large homemade advent calendar that the kids took turns adding daily ornaments, also homemade. Driving everyone two hours to the nearest town for Christmas shopping was grueling, yet the trip back, with all six of us subdued but happy, seemed quintessentially family. My mother was a fantastic baker. 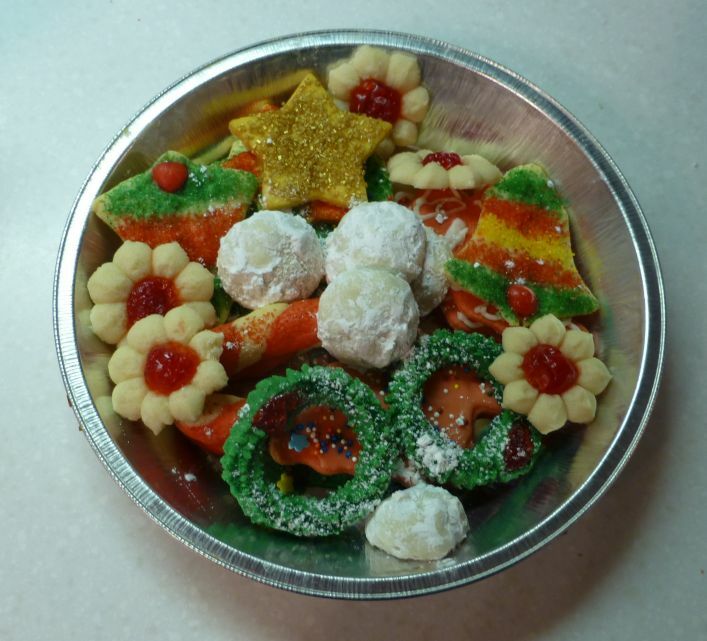 It’s no exaggeration to say it was her art form — and Christmas cookies were a specialty. Although she’s been gone for many years, I try to keep the tradition alive by baking her cookies and telling the kids about her. Christmas Eve and Christmas Day each have their own special meals and desserts. For decades, Cherry Cream Pudding tastes like Christmas. It’s something that brings us together. Click here to check out the cool romance writers taking part in this blog hop. I’ll bet most of them write about Christmas, but maybe I’m wrong. Great post. I feel like I really dropped the ball on mine. Family distractions. I agree on best Christmas present. My oldest son was born two weeks before Christmas (Dec. 12) So it was a very special time together that year. The people make the holidays better. 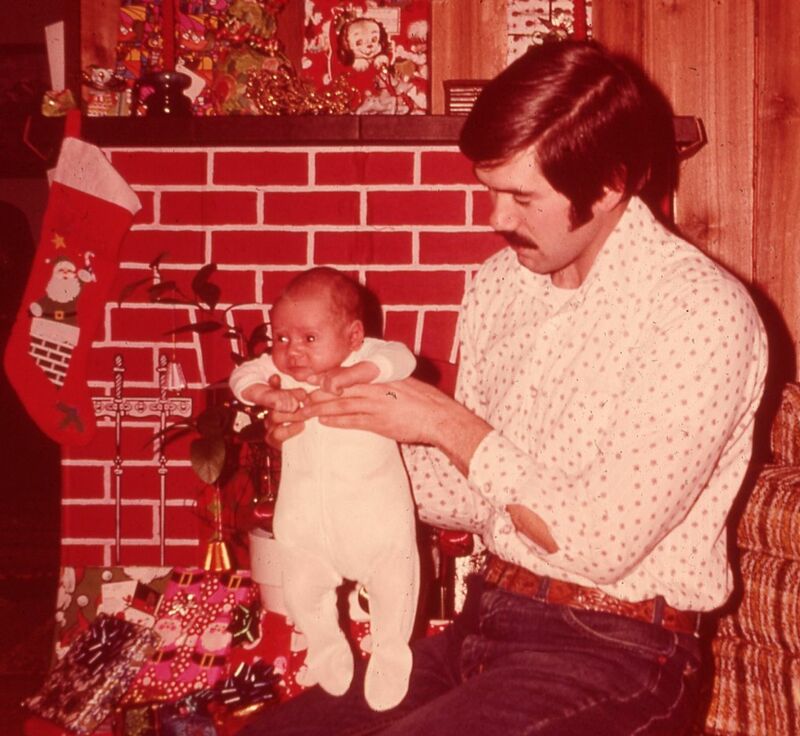 Your son was born even closer to Christmas than Scott was. What lovely memories, Ed. There’s nothing like home-baked cookies at Christmastime. Especially when the cookie recipes have been used by the family for 60 or so years! Ed, I see why you chose Christmas as your favorite holiday. You paint a beautiful picture. Traditions mean a lot. I love that you make your mom’s cookies every year! I love ’em too. Yum!